I will be happy to organize and schedule as many activities as you are interested in. 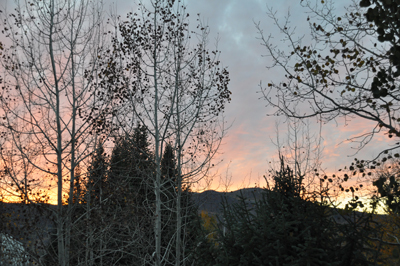 In Steamboat you can fill your days and nights--or relax and enjoy the moment. This area truly has something for everyone. What the Locals Like: All year long you can enjoy the following. The DEPOT is home to the Steamboat Springs Art Council, this historic 1909 railroad station has been converted into a gallery and performing arts venue. OLD TOWN Downtown Steamboat is the heart of our ranching and skiing community. Howelson Hill stands behind the streets lined with historic buildings, century old businesses and quaint neighborhoods. The area is also always changing with new shops, art galleries, restaurants, bars and cafes. In Old Town, you'll also find the STEAMBOAT ART MUSEUM, with rotating exhibits. The museum is in the historic First National Bank Building. One block away is the TREAD OF PIONEERS MUSEUM, housed in a 1908 Queen Anne style Victorian home. The exhibits include local ranching, mining, Native American history and pioneer life. A big favorite is the history of sking, Steamboats contributions, and some of our local Olympians. The BUD WERNER MEMORIAL LIBRARY is new, big and beautiful-a great comfortable space. On Saturdays, in summer, the MAIN STREET FARMER'S MARKET is a fun spot to wander. Look for yummy baked goods, pizza, bison, and salmon. Crafts,herbal products, jewelry and much, much more abound. The YAMPA RIVER CORE TRAIL is seven miles long from the west side of the city, through downtown and along the Yampa River for walking, running and access to fishing holes. In the winter the trail is kept free of snow. The trail features sculpture and natural springs along the way. It is a wonderful asset! FISH CREEK FALLS just four miles east of downtown Steamboat is a 283 foot waterfall. It's an ideal spot for a short hike to the falls. From there you can find miles of unpaved day hikes. A great find along the Core Trail, is the YAMPA RIVER BOTANIC PARK. It is beautiful with native flowers and plants. Ponds provide great picnic spots. In summer, lunch time concerts on Thursday, provided by the Strings Music Festival add to the fun. 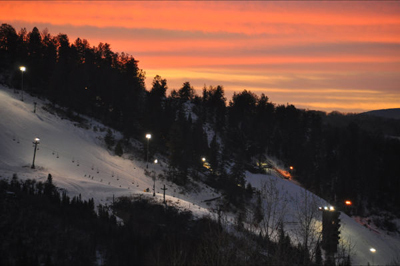 In winter, in SKI-TOWN,USA, there is something for everyone-skiing and snowboarding on Mount Werner and Howelson Hill. Cross country, back country and snowshoeing trails are available. You can also fish, ride horses, ice skate, and go snowtubing. In addition, there are dog sled tours, hot air balloon rides, ice climbing and snow mobiling. A change of pace can include shopping, trying out one of our many spas, and then maybe, a great restaurant. Winter, includes festivals, free concerts at the ski base, and the famous Winter Carnival, 100 years old in 2013. Summer activity is endless. Steamboat Springs is also BIKE-TOWN,USA-the mountain has great trails, as well,there are many quiet street rides. The Core Trail is a great spot! Lakes, and the Yampa River offer boating, kayaking, canoeing,, tubing, and of course fishing. Rafting is available on the Colorado River, a short distance away. There is a big variety of hiking trails and also climbing. Indoor and outdoor tennis, and golf on four courses, attract many. In the evening you can enjoy the rodeo(Friday and Saturday), the Strings Music Festival (June-August), the Summer Concert series at Howelson Hill and the 1st Friday Artwalk.The Area Steamboat Springs is located in the Upper Valley of the Yampa River along US Highway 40, just west of the Continental Divide and Rabbit Ears Pass. The city is the county seat of Routt County, Colorado. As of 2010, the city population was 12,088. This city is an internationally known winter ski resort destination. The tourism industry is highlighted by the Steamboat Ski Resort, which is on Mount Werner in the Park Range, just east of town. It also contains the much smaller Howelson Ski Area-the oldest ski area west of the Mississippi. Steamboat offers excellent skiing opportunities and has been the locale of world class skiing competitions. 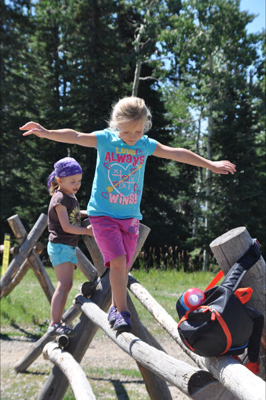 The Steamboat Springs Winter Sports Club has brought forth many successful skiers. The city has produced more winter Olympians than any other. The area was originally inhabited by the Yampatika Utes, who hunted in the summer. Trappers came next, and the ranchers arrived in the 1870's. The large ranching community still preserves many traditions. Originally skiing was the only method of transportation during harsh and snowy Rocky Mountain winters. ©2019 Chalet Val d'Isere, Steamboat Springs, CO.